It is compatible with the Galaxy Note5 and Galaxy S6 edge+ and later models . Take your wireless charging experience to the next level with the Fast Charge Wireless Charging Pad. Available in black sapphire or white, the wireless charging pad allows you to charge your Galaxy Note8, Note5, Galaxy S6 edge+, S7, S7 edge, S8, or S8+ device. 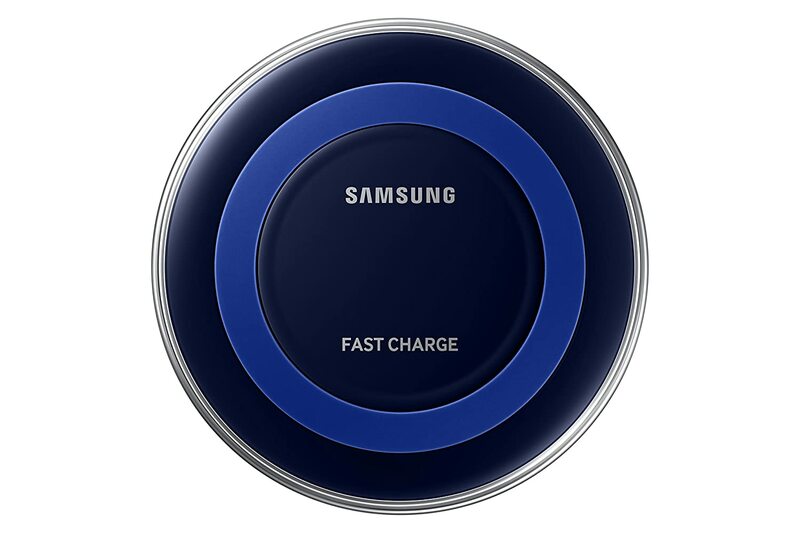 The Samsung Fast Charge Wireless Charging Pad is easy to set up and use. First, pug the Wireless Charging Pad in micro USB cable, then place your phone on the pad. If charging a Samsung Galaxy smartphone, the pad will also alert you when your device is fully charged with a green LED indicator light. If a non-Samsung or Samsung charger below 2A is used to plug in the Wireless Charging Pad, you may experience decreased performance and damage the charging pad.